Not everyone in Japan likes massively multiplayer online role-playing games. Generally speaking, most people like Dragon Quest. So what happens when you turn Dragon Quest into a MMORPG? 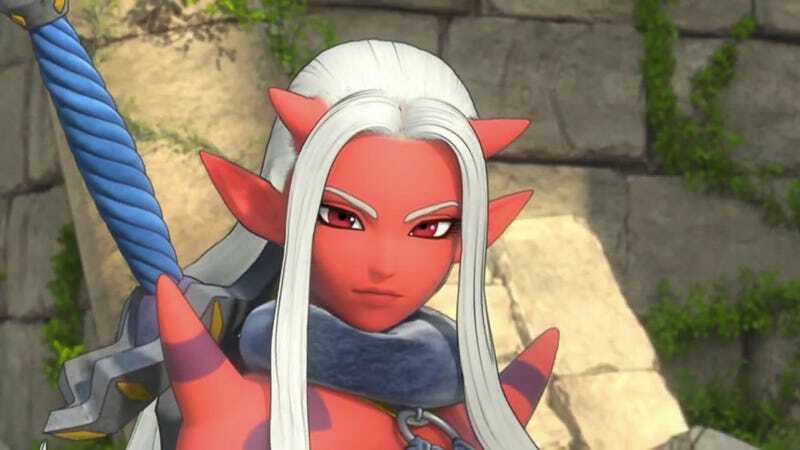 Square Enix has made Dragon Quest X into an online game that you don't need to play everyday—this is, an MMORPG that will fit into the rhythm of your life. A good thing! One of the ways Square Enix does that is "Support Comrades"; this allows players to use others people's characters as part of their party and, thus, level up those characters with experience points and gold. Another way is that players can actually "charge" their while not logged in for a fixed period and gain "Vitality Balls". These allow players to double their XP and gold for thirty-minute intervals. Finally, Square Enix offers "Support Gold" to those players who reach a specific point in-game during the span of a week. Loads of Dragon Quest players are now adults who grew up with the series and who have jobs (and families). Smartly, Square Enix seems to realize this and it doing everything it can to make the MMORPG experience fit into the lives of busy players. Like I said, smart! Still, expect players to figure out ways to make each of these helpful systems work as exploits. It wouldn't be a MMORPG if they didn't.